Federal Reserve Chairman Jerome Powell sent the strongest signals yet that the central bank would hold off on raising the key federal funds rate, implying that consumer interest rates like those on home loans may not rise much higher in the near future. Whereas Chairman Powell and the Fed’s Open Market Committee had planned to continue incremental rate increases on a near quarterly basis through 2019, the central bank’s latest report argues for something of a course correction: holding the line on interest rates until the economic health of the U.S. becomes more clear. While the Fed’s interest rate decisions are just one factor influencing consumer rates for things like mortgages, housing market analysts hope this news could continue to tamp down home loan costs and thus stimulate home sales. Since mid-December, when the Fed made its first official hints toward a more modest rate outlook, average mortgage rates have dropped precipitously. This has helped boost mortgage applications, which were about 6 percent above historical averages according to a Jan. 30 report from the Mortgage Bankers Association. Powell and the FOMC’s January report also devoted significant discussion to the Fed’s balance sheet. Besides setting short-term interest rates charged to banks, the Fed also influences U.S. monetary policy through maintaining a balance sheet worth some $4 trillion. This balance sheet is made up primarily of Treasury securities, but has expanded significantly since 2008 to include $1.6 trillion of mortgage-backed securities. The Fed expanded its balance sheet rapidly in the years following the financial crisis, buying up assets like mortgage-backed securities to stabilize the U.S. financial system in a process known as quantitative easing. But now that the economy has been on a healthy trajectory for some time, the Fed has stopped adding to its balance sheet and recently begun selling more assets than it buys. The Fed has hoped to continue selling assets until its balance sheet returns to a more “normal,” pre-crisis level. But while this has the side effect of controlling inflation, it consequentially induces “runoff” in the broader economy that effectively makes borrowing more expensive, whether for businesses or consumers. In his post-statement remarks, Powell was careful not to go into specifics on the Fed’s latest balance sheet reduction strategy, but again hinted that this activity would slow in an effort to keep the economy on even ground. With mortgage-related securities comprising a large portion of the Fed’s portfolio, this could indirectly tamp down mortgage rate growth as well. 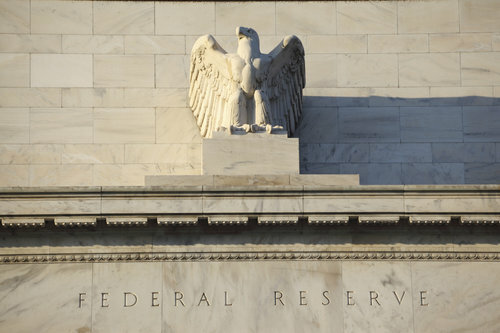 “Add this all up and there’s a picture of a Fed that has shifted course pretty quickly — and grown much more cautious — since raising interest rates in December,” wrote Wall Street Journal reporter Joshua Zumbrun wrote in a recap of the Fed meeting.